Victor E. Hodge: Nancy Drew! 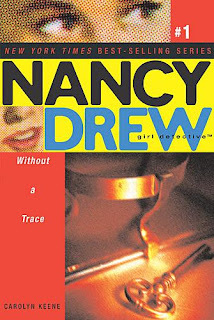 I grew up on Nancy Drew. There have been a few new incarnations of my favorite heroine detective over the last few years. I LOVE Nancy Drew. The latest? 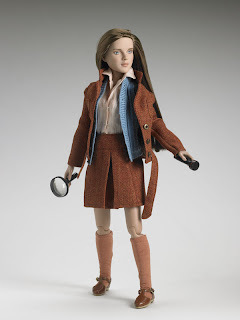 The Nancy Drew doll from Tonner Doll Company. The Hardy Boys came earlier this year. But, I'm still waiting on Nancy. 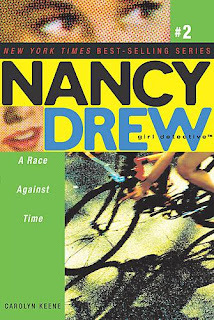 Nancy Drew - Girl Detective. Nancy Drew - Sleuth Savvy. Nancy Drew - River Heights Stake Out. 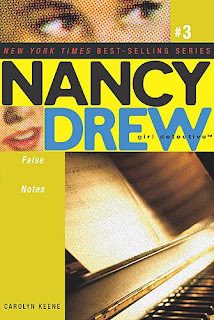 Nancy Drew - Beauty and Brains. Nancy Drew - Autumn Clue Discovery. One minute before that: Emma Roberts! (Eric's daughter and Julia's niece.) I saw the movie and loved it. Possibly ... it was a "fan" movie. Initially, I heard that there was going to be a second movie. But, that was before it was released and before the first weekend's dismal returns. "So," he says solemnly, "I am waiting for the DVD. I'll take what I can get." Anything else they put out --- I'm there! Nancy with her flip hair-do. Prim and perky. Watch out, Bree VanDeKamp! She knows how to entertain! extra!!! I smell a car chase and raised insurance rates!!! Nancy hears a ghost while putting together the clues!!! Now, there's a comic book series. It's not particularly my cup of tea, but I'll support it. (Honestly, I figure it's still trying to find its legs and I haven't read the latest books.) 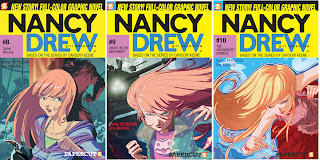 It's like somebody took the popularity of manga and the new series - "Nancy Drew - Girl Detective" book series. I will support it nonetheless. 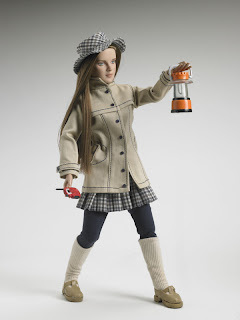 Speaking of ... here's Nancy Drew - Girl Detective. It's the latest series, written in the first person. Nancy isn't as perfect as she should be. She's touted as being clever, but not necessarily remembering to put gas in her car or put on shoes is a an issue. I think she might even be a bit (cringe!) slovenly in appearance. Okay, I get it, but --- I need my Nancy cue, perfect and clever. However, I'm glad that she's still around putting out mysteries. Veronica Mars got it right. The Nancy logo image seen is from the yellow bound edition of "Secret of the Old Clock." That's a really cute touch. 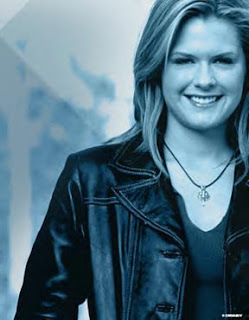 Before that was Maggie Lawson in a Nancy Drew pilot disguised as a Disney movie. This Nancy was loving, but a little aggressive. She knew herself, claimed her space and took charge. Plus, she had drama. The beloved housekeeper, Hannah Gruen, Nancy's "adoptive" mother, had a sexual history. (We call it "scandal!") She was ultimately cool. Bess and George, not to mention, Carson Drew, turned on Nancy for wanting to be a detective. All she did was a little illegal breaking and entering with lock picks --- and got caught. Come on! She's Nancy Drew --- she's supposed to do these things!!! The commercial breaks ended on a cliff-hanger and an unnecessary drawing that didn't resemble anything from the series. Maggie was alright with me! Too bad it didn't become a series. Here's Nancy with Bess (Jill Ritchie) and George (Lauren Birkell). Bess was a complete sorority girl and George was very serious, frowning upon anything that might spell expulsion. It would have been interesting to see it as a series. I was thoroughly entertained even though Nancy wasn't her strawberry blonde. Next, there's Tracy Ryan as Nancy Drew. I call this the "Canadian version." At first, I was a little thrown by Nancy's appearance (dark haired and little plump) and Bess's quirkiness (almost goofy), but once I got a full look --- I LOVED it. Nancy was a law student. She would sherk her responsibilities at the drop of a hat to solve a mystery. With her short bob, she looked NOTHING like the "titian-haired" Nancy I grew up with. But, she was strikingly beautiful, reminiscent of Pamela Sue Martin (the 70s Nancy). Bess (Jhene Erwin) was a gossip columnist for an entertainment magazine. She was the reluctant sleuth who inadvertently ended up with clues and comedic relief. George (Joy Tanner) was a filmmaker and bike messenger. She was stunningly beautiful, excited and cool. The mysteries were simple and unfortunately too short. Thirty minutes. Ned ("Felicity's" Scott Speeman) couldn't stand Bess and George or Nancy's interests in mysteries. The inner dynamics were suble. I loved every minute of it. Plus, she teamed up with the Hardy Boys (Colin Gray as Frank and Paul Popowich as Joe) in France. I need more stills on them. I may very well feel that Tracy Ryan is my favorite Nancy Drew incarnation. Tracy Ryan as Nancy Drew! Tracy Ryan, Jhene Erwin as Bess and Joy Tanner as George. More on Nancy Drew later, including Pamela Sue Martin, Janet Louise Johnson and Bonita Granville!!! 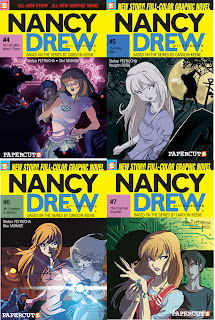 I am also a great fan of Nancy Drew. we need more pictures of george! Juicy Mother 2 in Philadelphia!! !